Larry McCluskey, GIDA (Guild of Irish Drama Adjudicators) has been adjudicating Drama Festivals for over twenty years, including the New Zealand Finals in 2012. 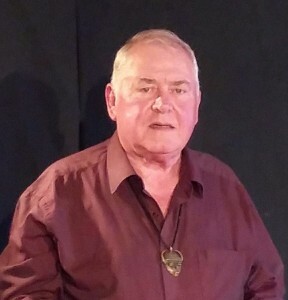 As Artistic Director of Drumlin Players, he won Best Actor and Best Director awards in Athlone Finals and led Drumlin Players to international festivals in Canada, USA, South Korea, Japan and India. Former educationalist, member of An Comhairle Ealaion/The Arts Council, and of Tyrone Guthrie Artists Centre at Annaghmakerrig, and founder member of the Garage Theatre, Monaghan. Bellaghy (Feb 2017) and due at Listowel Writers Week (3 June). Delighted to be back at Holycross Drama Festival.